The Ledger’s been experimenting with going down the right-wing rabbit hole lately, an issue that’s starting to get noticed by its readers and subscribers. Their latest tirade came early this morning in the form of an editorial supporting career politician and self-described gun-lover Adam Putnam because they don’t think he is “the bad guy here” in spite of the fact that this guy is a proud part of the system that makes mass shooters in America possible. Publix refuses to contribute any money to the children of MSD HS although they have contributed plants and a peace garden for them, the equivalent of “thoughts and prayers” that our leaders seem to be so fond of spouting these days. Publix refuses to meet with the children of MSD HS. The Ledger supports Publix’ refusal to cooperate with the children of MSD HS. Although Publix claims they will no longer financially support politicians, they nonetheless are refusing to request a return of their $670,000 donation to “proud NRA sellout” Putnam. The Ledger wants their readers to believe that Publix has no responsibility to support high school students in spite of the fact that many of those same students may one day be working at a local Publix. The Ledger believes that Putnam is a “Polk County product,” not a career politician who just happens to be from Polk. The Ledger believes that MSD HS students are “ridiculous” for not fighting every front in the war for common sense gun laws instead of choosing the reasonable and mature route of fighting such a war one battle at a time. It sounds like the kids are smarter than The Ledger’s editorial staff. At best, The Ledger’s so-called empathy for MSD HS is insincere; it’s support of Putnam and gun lovers in general, strong. Their understanding of the core issues in the war against slack gun laws is absurd. Their support of the systems that- and people who- make mass shooters in America possible is clear and obvious. The Ledger believes that no one on this planet knows that another shooter will once again kill children in spite of the fact that the entire planet, except for the writers at The Ledger, knows that this will happen again in America. As Childish Gambino laments, “This is America.” Bang! Bang! 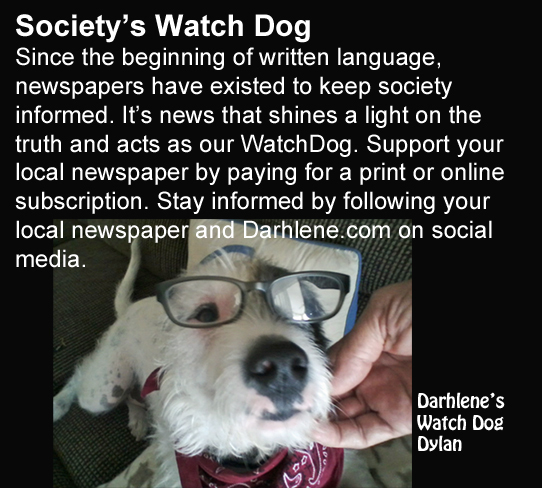 I agree with Darlene, real reporting!! !